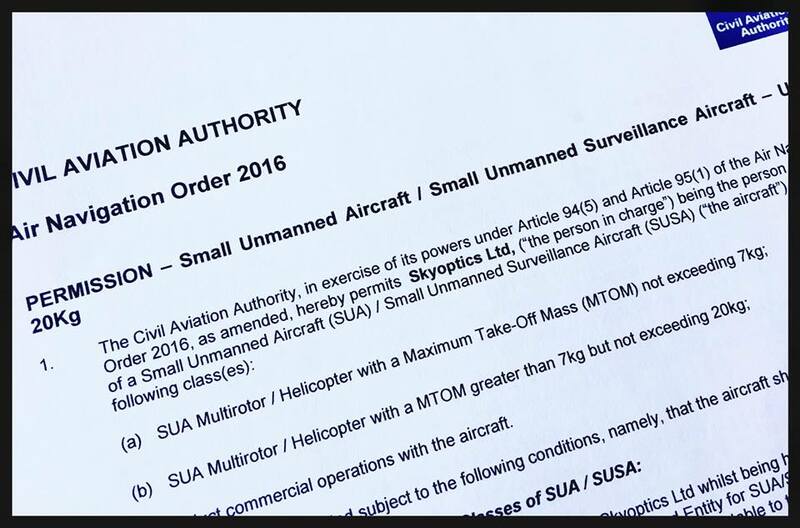 We’re very pleased to announce SkyOptics Ltd is now approved for aerial photography commercial drone operations using aircraft up to 20kg. With this new approval we are flying the Freefly Alta UAV and Mōvi gimbal, increasing our flight time and expanding our camera and lens lifting capability further, giving even greater choice to our clients. We are currently setting the aircraft up to carry our a7Rii with the amazing 24-60 GM lens and also the Panasonic EVA and Sony FS5. We are also now waiting on approval from the CAA for reduced distances for the Alta. This will allow us to operate heavy lift aircraft in congested areas at reduced distances.